We are driving through Nebraska and decide to stop at the world headquarters for Cabelas. Inside there is a young man with a BYU-Idaho shirt on. Kevin begins talking to him and his family. It ends up being Bishop Fowers from Fort Leonard (which is in our mission) on his way to Rexburg to a family reunion. He told us they have the best missionaries. He invites us to stay with them anytime, which is more than nice. I don’t think this is a chance meeting. For the web page. This could be the last preparation entry. We have spent three incredible days in the MTC being taught by the apostles of the Lord Jesus Christ, and by His prophet, Thomas S. Monson. Elder Bednar taught me some very significant principles. 1. We must prepare to learn. 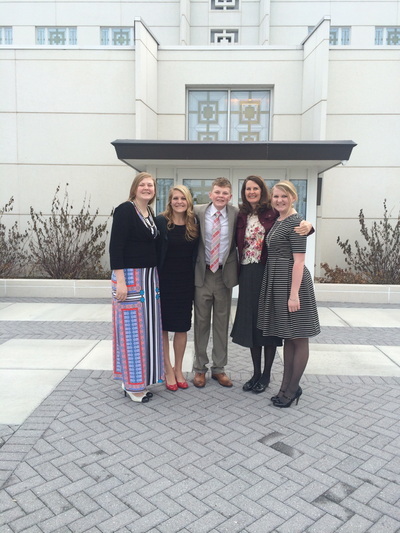 We were given articles, quotes, and scriptures to study before we met at the MTC. At the opening of the seminar we were invited to be in our seats and spend 15 quiet minutes stilling our souls while the prelude music played. (He actually had to remind us at the beginning of the next session, but after a little reprimand from an apostle, we got it. And it was really a very wonderful change.) As the sessions went on another thing began to happen. We stayed in our seats at the end of sessions and listened to the music for a few minutes. (At the end of the seminar Elder Bednar said something like, if the Holy Ghost is to be the teacher you must make a spot for Him to be. 2. We interact to edify. End-of-the-day sessions where the day was reviewed was exponentially instructive. They divided us into smaller groups – probably 24 people. A member of the missionary committee and one of the 70’s facilitated a discussion. Questions like, “What did you feel? What did you see that was good teaching? What will you take from today to your mission? I was amazed at the things people said that I hadn’t even remembered. 3. We invite everyone to act. On the first day Elder Bednar came into our end-of-the-day session and invited us to go home and prepare for the marrow. We had many assignments. Elder Holland invited us to read the gospel of John paying particular attention to everywhere Jesus refers to the will of the Father. He also gave us a list of scriptures from the Book of Mormon that talk about the Savior. That will be on my study list too. I am still thinking about our setting apart with Elder Bednar. As a matter of fact, I really spent several weeks thinking about and preparing to be with an apostle of the Lord Jesus Christ. I worked on becoming as clean as I could. Because he is a question and answer apostle, I pondered questions that would be appropriate to ask. I included preparing for our visit in my fast. And I prayed about things that I thought might be helpful to receive in my setting apart. The remarkable thing about the visit is that the only person that knew I had done all these things, was the Lord, yet repeatedly I saw connecting coincidence that couldn’t have been coincidence. 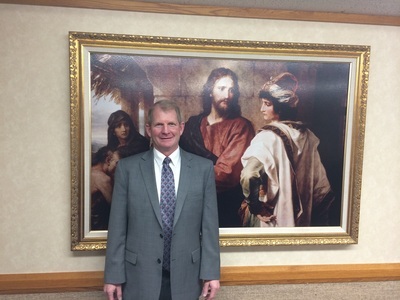 I decided I would ask Elder Bednar about any prophetic vision he had for the area in which we would serve. Without me asking the question he explained the vision he had for the area by sharing and experience he had years ago. . Kevin also had his question answered in the course of the meeting. I also thought I would ask about how to handle missionaries who choose not to obey. He didn’t say anything about it, except after our setting apart we went to the temple. While waiting I picked up the D&C and randomly opened it. There in the first verses of the chapter was the answer of how to handle situations when missionaries are rebellious. Several months ago I was very concerned about my weaknessess and inabilities. My fast that month was strictly to ask the Lord to give me the confidence to represent Him well. He did help me feel much more confident. And then in the setting apart I was told that all of the things that had caused me to feel anxious or worried would dissolve away into joy. How cool is that. I was given an added measure of compassion, which has been my prayer from day one. I was also blessed that I would experience no physical harm while serving the next three years. One of the blessings I’d thought would be very beneficial was that I could have the assurance that I would not become sick while helping missionaries who might be sick. Since having trouble with my thyroid, when I got sick I was really miserable so I would avoid the possibility of getting sick by staying away from people who were ill. I thought that if I knew I wouldn’t get sick it would help me be more compassionate and less hesitant to help others. In blessing me to experience no physical danger not only was He blessing me to not get sick; but also, he added other protection that I hadn’t even thought to request. Is Elder Bednar a prophet of God? Is the Lord aware of me and my concerns? You bet! For me, the last month of my children's missions have been longer than the whole rest of their missions. Mission number 3 is finished. We picked Matt up at the airport at 10:45 pm, which is way to late for me. But not when your son is coming home. He looks to have grown an inch more, or maybe he just stands taller. His mission president told us that he could count on two words when he opened Matt's emails, "Doing good." Matt wasn't much of a letter writer. One day I said in my e-mail. "Matt, could you write just a little more? People are asking about you and I'd like to tell them alittle bit more." Later in the day, I excitedly opened his email expecting to read about some experience. Written across the almost blank screen were four words, "Same as last week." I love the talks given by President Benson that explain the great blessings that come from reading the scriptures. I have clung to those insights throughout my life. As part of my preparation I have been transferring my insights and markings from my old scriptures to my new ones. I have mostly focused upon the New Testament and the Old Testament. I decided that I needed the insights I gained when I was teaching the Old Testament and that I probably would not be taking the time for an in-depth study of the Old Testament while serving a mission. So I revisited some of my favorite stories. I love Gideon who trusts enough to go to war with only 300 men. As they yell, “The Sword of the Lord and of Gideon” I feel faith in the Lord’s power. I love the repeated times when Old Testament prophets question their abilities and the Lord patiently assures them that He will be with them. “But the Lord said unto me, Say not, I am a child: for thou shalt go to all that I shall send thee, and whatsoever I command thee thou shalt speak. Be not afraid of their faces for I am with thee to deliver thee…Then the Lord put forth his hand, and touched my mouth. And the Lord said unto me, Behold, I have put my words in thy mouth.” (Jeremiah 1:7-9). I love Mordecai's reminder to his neice, Ester “Who knoweth whether thou art come to the kingdom for such a time as this?” And, I love Nehemiah's determination to accomplish rebuilding Jerusalem, "who strengthens his hands" and who won’t come down from the wall "because he had a great work to do." These and other experiences of great men and women have accompanied me these last few months. My prayer is that their experiences will be ever present in my mind as I go about "my great work" in the kingdom. Preparing for our mission has brought all kinds of interesting feelings that I’ve never had before. One week I worried we wouldn’t do as good a job as the previous mission president. Another week I worried that the missionaries would feel loved. Another I worried about Neal and how he would do with the move. The list goes on. Although I think it is fine to have questions and concerns, these thoughts seemed to be a little different. They brought a blackness in my soul, which robbed me of my usual joy. I recognized the feeling wasn’t good, but it seemed to continue. I prayed. I fasted. I prayed. I went to the temple. I prayed again and again. And then one day, I was observing the mission leadership conference in our home mission and I remembered the Anti-Nephi-Lehis. They laid down their weapons that had kept them from God and replaced them with specific actions. “…they would…rather than…they would…rather than…they would…rather than.” I needed to give up my “weapons of war” that were keeping me from alignment with God. So right there I decided I would replace my fears with faith. I would remember the multitude of blessings I’d had from the Lord and when I thought fearfully, I would replace it with actions of service towards another who might feel fearful. Sunday I listened to a soon-to-be-Sister Missionary share her testimony of the Savior and share how the Lord can help us overcome fear. I cried. Our experiences had similarity. I decided right then to again lay down my weapon of war by choosing to pray for her whenever I felt concern about me and my abilities. Why not. I don’t know exactly what will be happening in the coming months and years, but I do know one thing that will be happening. Prayers will go up to heaven in behalf of others who I love. I love the talks given by President Benson that explain the great blessings that come from reading the scriptures. I have clung to those insights through out my life. As part of my preparation I have been transferring my insights and marking from my old scriptures to my new ones. I have mostly focused upon the New Testament and the Old Testament. I decided that I needed the insights I gained when I was teaching the Old Testament and that I probably would not be taking the time for an in-depth study of the Old Testament while serving a mission. So I revisited some of my favorite stories. I love Gideon who trusts enough to go to war with only 300 men. As they yell, “…” I feel faith in the Lord’s power. I love the repeated times that Old Testament prophets question their abilities and the Lord’s patient assurance that he will be with them. “But the Lord said unto me, Say not, I am a child: for thou shalt go to all that I shall send thee, and whatsoever I command thee thou shalt speak. Be not afraid of their faces for I am with thee to deliver thee…Then the Lord put forth his hand, and touched my mouth. And the Lord said unto me, Behold, I have put my words in thy mouth.” “Who knoweth whether thou art come to the kingdom for such a time as this?” thy mouth.” Jeremiah 1:7-9. And Ester who responds to the musings of her uncle Mordecai, “hat she was Nehemiah who strengthens his hands and won’t come down from the wall because he has a great work. In an effort to practice teaching and get a handle on some of our responsibilities, President and I asked two non-member neighbors if they would allow us to come and teach them. They are both good friends whom we've had many associations with over the years. One, Betty will be 80 years old this year and Donna who I'm thinking is probably 15 years older than me. (Who knows how old a woman is really.) Our experience as been instructive. If I were to comment honestly, our first meeting with both of them was pretty much about me. I worried I'd remember all the points. I wanted to do a good job. I forgot things that made my heart pump a little - like having the opening prayer. I love Elder Brimhall, who is one of the Elder's that came with us. We got started and then he called time out. I looked at him and with a smile he said, "Don't you think we should start with prayer?" Oops - that's a good idea. After the first appointment, we began to pray for them. Something happened to both President and I. On separate occasions we both had the thought that this was more than practice. We were offering people we love something that could bless them for eternity. My prayers changed, my preparation changed. Thoughts and questions unique to their situations came to mind. Do I know if I did better the 2nd and 3rd times than I did the 1st time? I think I definitely did for Betty. The third discussion didn't go too well with Donna. Neither pursued the lessons and we are still friends with them. What I did learn is that I have to do a much better job introducing prayer and reading the Book of Mormon. Both are converting tools which neither of our friends embraced. I'll work on that. Also lessons go much better and the Spirit is much stronger when you focus on those you are teaching than on yourself! 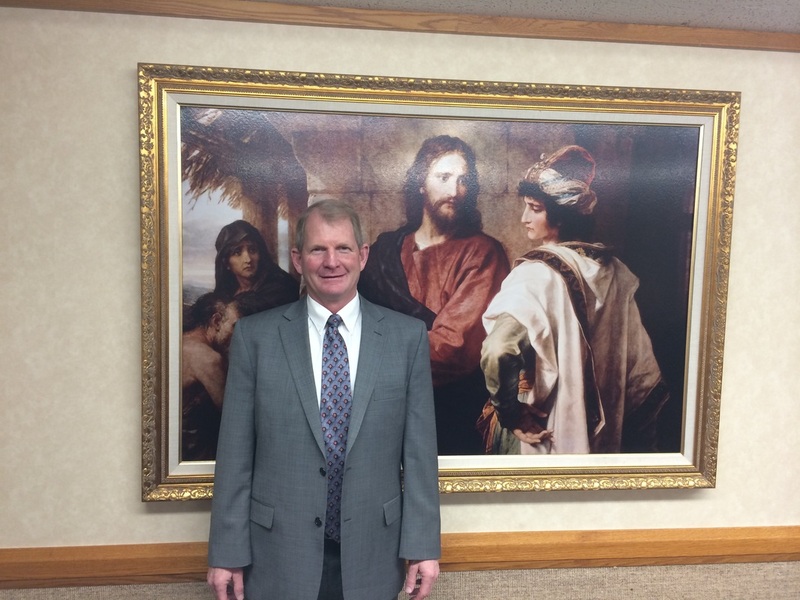 Last night we spoke with the currently serving mission president, which was incredibly helpful to our preparation! In the course of our conversation, it became very evident that he is extremely capable, that the mission has had great growth, and the currently it has great momentum. All of this was very exciting until Satan stepped to place an unwanted thought in my mind that we wouldn't be good enough to keep the momentum rolling. I have lived long enough to recognize doubts of the devil, so after our phone call, I sought my usual solace. Up to my chair where the Lord and I frequently converse in prayer. I explained my worries, and that I hadn't felt the promptings of the Spirit as clearly or as frequently as I'd previously felt them. Then came into my mind the thought that there were several unfinished assignments that the Lord had given me and He was waiting for me to catch up. I recommitted to follow through better by daily acting on the promptings I'd received and then nightly reporting my progress to Him and also to Kevin. This morning I shared my experience with Emily, explaining how worries about not doing as well as another person certainly hadn't been part of my personality in the past, so I was quite surprised by having those feelings. Emily, who recently returned from a mission smiled and with compassion said, "Now you know how lots of your sister missionaries will feel." "Hum," I thought, "Am I going to have all kinds of feelings over the next few months that are going to increase my empathy for the challenges of the missionaries?" I don't know the answer to that musing, but what I do know for sure and what I've know for years is a truth that I choose to grasp and hold on to tight. It is the Lord's work; not mine. The talents and abilities Kevin and I bring to the mission are what the Lord wants right now in this area of His kingdom. He knows my weaknesses and unfortunately he knows my weaknesses will have an unsavory affect at times. But because of the atonement He will make up for those things. So use the atonement. I am to go forward with what He asks. Never being afraid of what good others do. Find joy in the application of their strengths just like Heavenly Father finds joy in my strengths and many other of His children's strengths. He just expects me to follow through on what He tells me to do. Kevin is being released this weekend. Elder Golden and Elder Batt are the presiding authorities. The members of the presidency and their wives met for an hour and a half on Friday night before interviews started. I thought it was particularly thoughtful and very filling for me. Besides meeting as a group we met individually. Elder Golden asked if we would share something that came to mind about the time Kevin served as stake president. I shared how when he was set apart he was blessed to be able to connect with people of all ages in our stake. I certainly can testify that blessing was fulfilled. Not too far into his Presidency he invited a young woman who like to get candy from the jar in his office to come to play monopoly with him and one of our children. Stake conference was changed to be more friendly to families with small children. The sessions were changed to an hour and a half and the rest song and often the hymns were chosen so that the primary children knew them. Sometimes the presidency would specifically speak to a certain age group. President Southwick prepared to masterful messages to the primary in our stake. Besides the usual youth conference and girls camp, they instituted an annual dodge ball mutual night. The young men leaders where trained while the stake presidency and high council had a dodge ball tournament with the teachers and priests of the stake. The first time it just happened by impulse that the stake presidency became involved. All three of them are pretty good athletes and certainly boys at heart. They were finishing a meeting and stopped in to see how things were going. None of them could resist. Pretty soon all three of them, in their suits, were pounding away at the young men. The night ended with the presidency throwing against several young men who played high school baseball. That was enough to hook them on the activity. Annually the young men try to take out the stake presidency in dodge ball. He has tried to attend any high school activity in which youth of our stake participated. I always found it very interesting that when he went to the high school, youth would bee-line it to him to talk to him. Having the mother that he has, it has been very comfortable for Kevin to quilt with the older ladies of our stake or to attend Relief Society. These are just a few of the many things I've witnessed as part of his presidency. Kevin responded that he has marveled at the power of keys. When setting apart missionaries and issuing calls he has especially felt the Lord's hand helping him. This morning before Kevin left to go back to the stake center we were talking. I told him I was going to run up to the temple. He encouraged me to see if all of the children wanted to go. I missed his presence, but then I couldn't help but think that shortly he will be by our sides. "As part of the pre-field training that was recently announced, the Missionary Department will be filming live training sessions led by members of the Seventy who are Executive Directors in the Missionary Department. These sessions will be taught by Elder Don R. Clarke, Elder Gregory A. Schwitzer, Elder Brent H. Nielson, and Elder Per G. Malm. The training will be given to eight couples in a classroom setting and filmed so that it can be posted for other newly-called mission presidents and their wives to view as part of their training. "If your schedule permits, you and your spouse are invited to participate in one or more of these live sessions as one of the eight couples in the class." My heart yearned to be part of a general authority training while my mind hollered, "Don't do it. You know you look like a geek." Finally my desires to take advantage of every opportunity given me won out and Kevin and I attended training on the 11th and 12th. Before I attended I worried about it for a few days and then finally while reading Elder Bednar's talk about being a "Preach My Gospel Missionary" I realized that the training was about having the Holy Ghost, listening to His promptings, and learning all I could to be ready to enter the mission on the run. I've continued on in my preparation journey. I thought I have done pretty good at heading the promptings of organization. However, Thursday and Friday night I went to bed too late and didn't do the night routine the Lord had instructed me to do. Then Saturday, I had the fight of my life. I was supposed to begin teaching a 6 week Teacher Development class at church. I didn't want to prepare and I didn't want to call the class. Emily had encouraged me to do a complete 24 hour fast, which meant starting my fast on Saturday at 2:00 pm. All afternoon and night I kept thinking I couldn't do it or that 2 meals on Sunday was fine or that I was going to be sick, etc. Finally that night in complete disgust, I complained to Kevin that I all day I'd been having a battle. I just didn't want to do what I knew was right. He went to catch the last of his home teaching people and I went to bed (even though it was early and I knew he would loved to have had me go with him.) I began my night routine - write a thank you note & write in my journal, etc. No sooner had a written a couple of words than the scripture from the temple of few weeks ago came to mind to organize myself or I would be delivered to the buffetings of Satan. That was quite an object lesson. I had set aside the instructions He'd previously given me, so he was going to give me a taste of the buffetings of Satan. What have I relearned? He's serious - so pay attention. What to leave and what to take seems to be the habitual question. The other day my visiting teacher came to help me go through my clothes. We have a very open, honest relationship. We both say what we think and then decide if we are going to listen to the other or not. If not, no worries, the relationship goes on. What did I find out as a result of this experience? 1) Maybe some of the things I wear, I shouldn't be wearing. Me -"Come on, I love this. It's so bright and cheerful. I wear it all the time." Karri & my daughter, Emily - "We know you wear it all the time. You should leave it home." 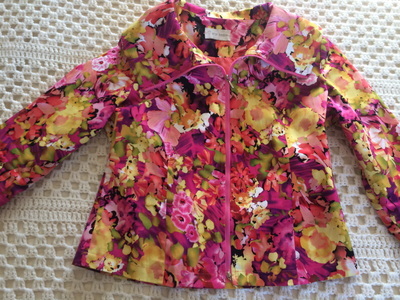 2) There are some clothes I am going to have to leave. Me -"It's so close to below my knee. If I pull it down it will come below my knee, see." Karrie - "So you want to do that on the stand in front of the whole audience?" Me - "Okay Karrie, you win." I try to make it a habit to attend the temple about once a week. I have learned that my life goes a lot smoother when I attend regularly, and I have come to depend upon the communication with the Lord that I experience while I am there. A while back, while in the temple, I had the thought that I should focus upon gathering object lesson material. During that week I gathered some things, made a list of a couple of people with whom I wanted to visit and that was about it. After all, I had plenty of time. The next week as I was getting ready to go to the temple with Kevin and Emily I had the thought, "Don't come before me until you've obeyed." I knew immediately that the Lord was talking about preparing object lessons. I had a sinking feeling. There wasn't time to do any more preparation. We needed to go. I decided that I would ask Emily on the drive to the temple, about object lessons she'd used while she was serving - which I did. As I was sitting in the temple I had the thought that I was going to be miserable the next week because of my disobedience. Just like Miriam, Moses' sister, had to spend a week with leprosy outside of the camp of Israel because of her disobedience; I was going to spend a week miserable because I had not obeyed the Lord. I was miserable for a whole week. I gathered object lesson material with aches and pains in all my muscles, I typed with a headache, and recorded while itching, And I returned to the temple the next week with the knowledge that the Lord was very serious about his promotions and that I should quickly obey. While in the temple, I opened up the scriptures to a spot that admonished to get organized or be delivered up to the buffetings of Satan. It didn't take me long to decide that even though it was being spoken to another, I was going to get organized. The next Sunday while in sacrament meeting, I had the thought of how to get organized and what to do. From that time on, it seemed like the Heavens were open and ideas on how to be organized were being poured down. I have tried to act upon them. Tonight I will attend the temple. I started working on memorizing. I am excited to know if that is the Lord's desire for me this week is. There is much to be memorized.